I fancied a week of movie going as there had been a wave of new releases that I'd wanted to see. The first was this one from Clint Eastwood and as I'd been recommended to see Mystic River and blown away by it, I was expecting the same with this. What I got was something much more complete and better. This had a better mix of comedy and tragedy than his previous effort. 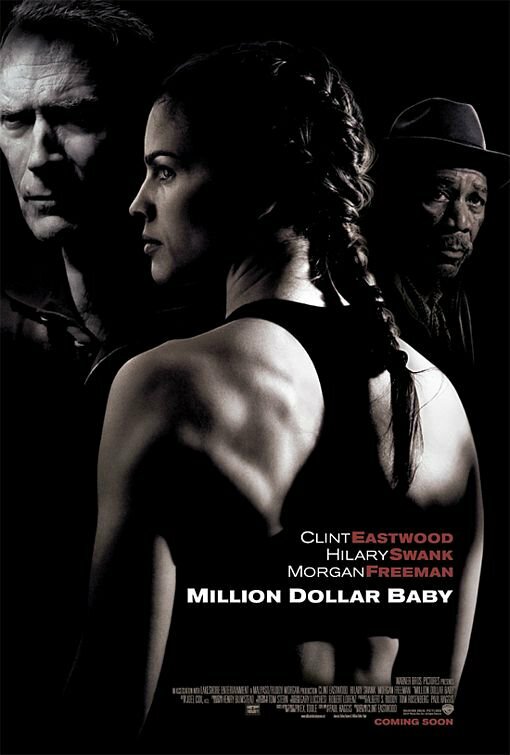 Some great acting from Hilary Swank and Morgan Freeman, with some very clever scriptwriting. Whilst I tend to avoid films that are nominated for Oscars, I'm glad I've seen this and I hope it does well.